Bristol's own IVO teams up with Articulate Records, one of our standout labels of 2017 for a top draw project. We kick off with a truly original piece of breaks production on 'West 12'. 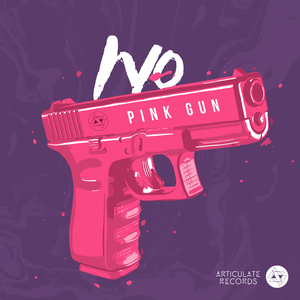 IVO is known for his uniquely emotional sound design, which is deployed to great effect on the title track 'Pink Gun' which stacks haunting melodies with unpredictable industrial percussion and spacey synth work. We move back to the breaksy vibe for the final track, as '30003' leaps around intuitive sampling and rolling subs. On remix duty FutureStyle and Katch step forward for two very different takes on 'Pink Gun', FutureStyle's being a junglish rework and Katch taking a more dubstep route.